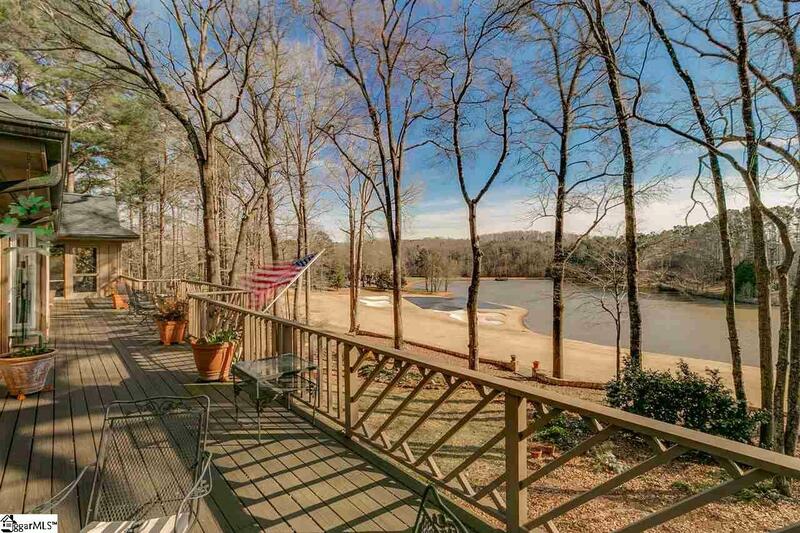 Enjoy your mornings on the screened porch with breathtaking views of the lake and 18th fairway. 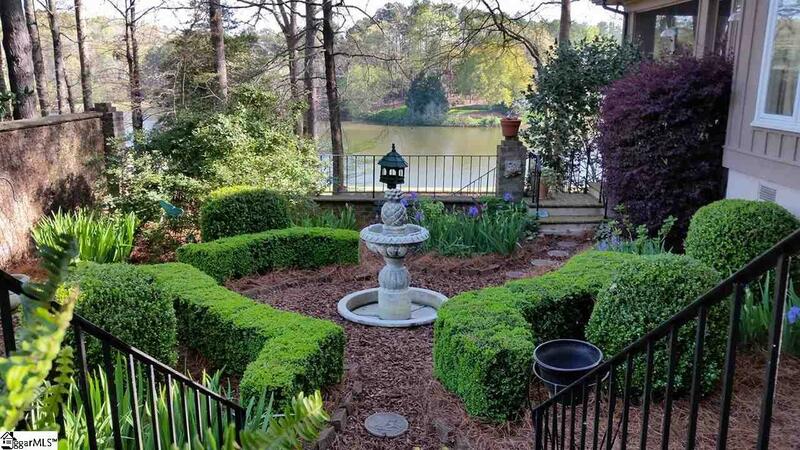 This one owner custom built home offers privacy on a cul de sac lot, mature landscaping, and sits on .82 acres. 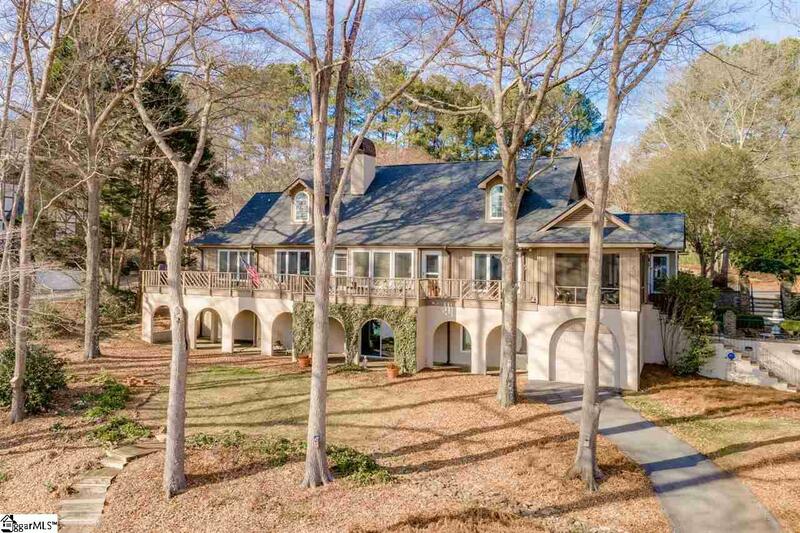 The open floor plan allows for easy flow between the dining room, great room, screened porch, kitchen and outdoor area making this the perfect home for anyone who enjoys family gatherings and entertaining friends. Beautiful Caribbean heart of pine floors flow throughout the main floor and all rooms have a view of this wonderful backyard. The great room boasts a cathedral ceiling with wooden beams, gas fireplace with burl wood and walnut mantle, and large Pella windows allowing natural light and views of the golf course and lake. This all white kitchen is a chefs dream with stainless steel appliances (2018), double ovens, gas cooktop, pantry closet, corian countertops, tile backsplash, built in microwave and butlers pantry. Kitchen is open to the breakfast room and den. the perfect space for your family to gather. Also on the main floor is the large master suite with separate office/sitting area with a brick gas fireplace and built-ins. Master bath offers his and her suites and separate walk in closets with built-ins. There is a jetted tub and a Mexican tiled shower. Upstairs are 9 foot ceilings and 2 more bedrooms with 2 full baths. Downstairs is a gateway to a 4th bedroom, full bath, bonus room (carpet 2018), storage room and workshop PLUS a golf cart garage! Off the kitchen is a 2 car garage, laundry room and a brick breezeway leading to a courtyard with water feature. So much attention to detail and quality construction makes this 4 bedroom, 5.5 bath home a must see to appreciate. 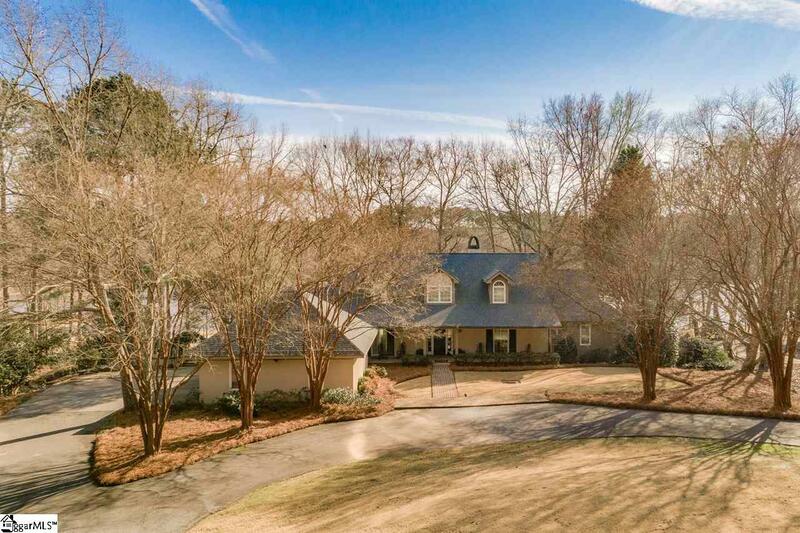 Carolina Country Club is zoned for Dorman High, Gable Middle and is only 10 miles to Spartanburg Day School. 3 zones; gas heat on main / basement level and heat pump on 2nd floor. Architectural roof 2016.